Some cakes accompany your whole life. 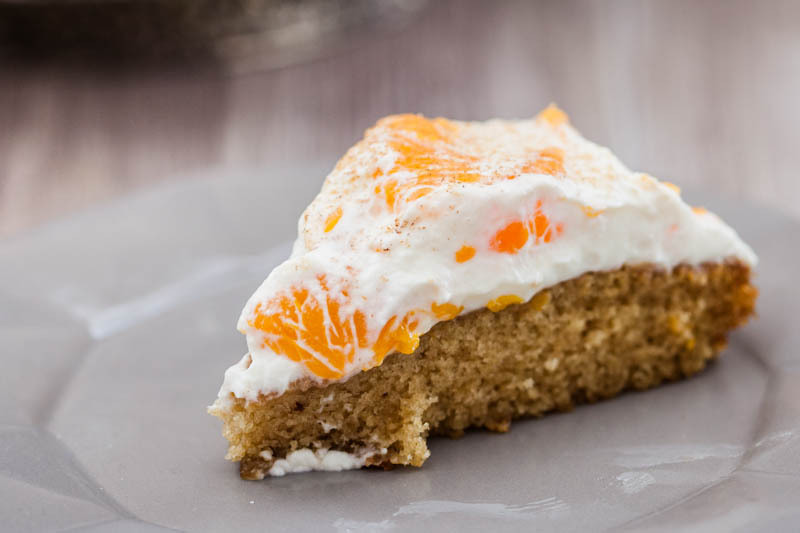 Just like this fanta cake with mandarins and sour cream which couldn’t be missing at any childhood birthday party ever. 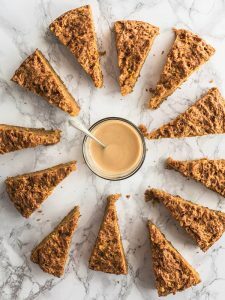 Next to my all time favourite fanta cake my grandma also had to bake my second favourite cake called ‘Eat-till-you-go-nuts’ a very heavy cake with vanilla pudding, chocolate and caramelized nuts – have you ever heard of it? What were your most loved childhood birthday cakes? But why is it called Fanta cake? 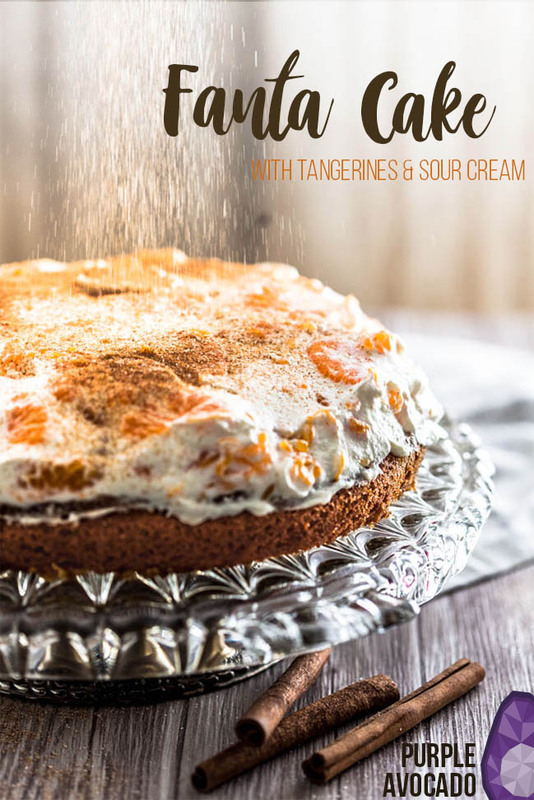 This recipe is originally from a Dr. Oetker baking book and they brazenly named their cake after this infamous and globally known lemonade brand. Instead of simply naming it Orange-Lemonade-Cake. Seems legit, right? Fanta Cake just rolls off the tongue so easily. 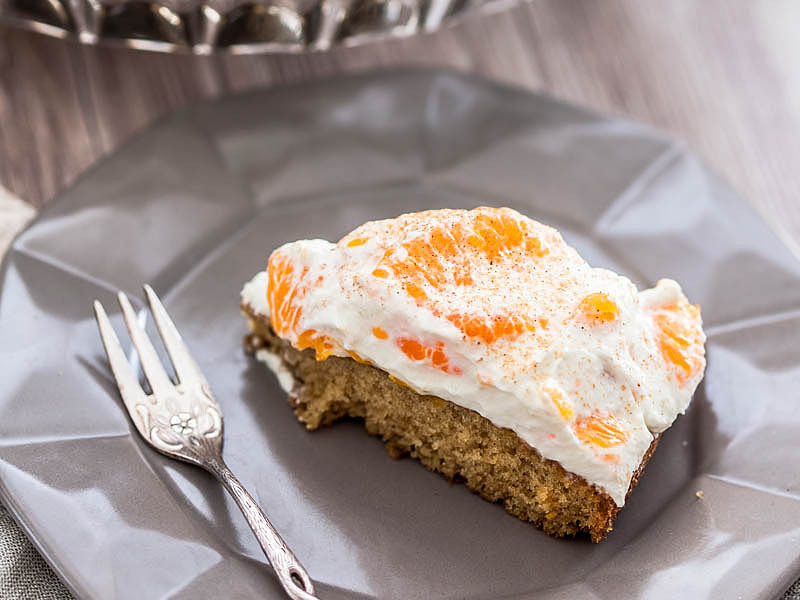 The Fanta (or any other orange lemonade) is added to the cake base and makes it perfectly juicy, soft and fluffy. One cunny reader might now ask legitimately why not use sparkling water instead as a sugar-less and brand-neutral solution. But then it wouldn’t be Fanta cake anymore – D’uh! This recipe is not healthy! Oh no! 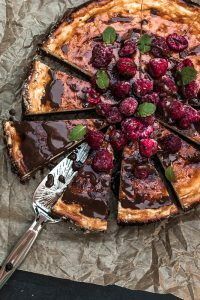 A cake recipe with white flour, endless amounts of sugar and ON TOP of all that sugary lemonade. 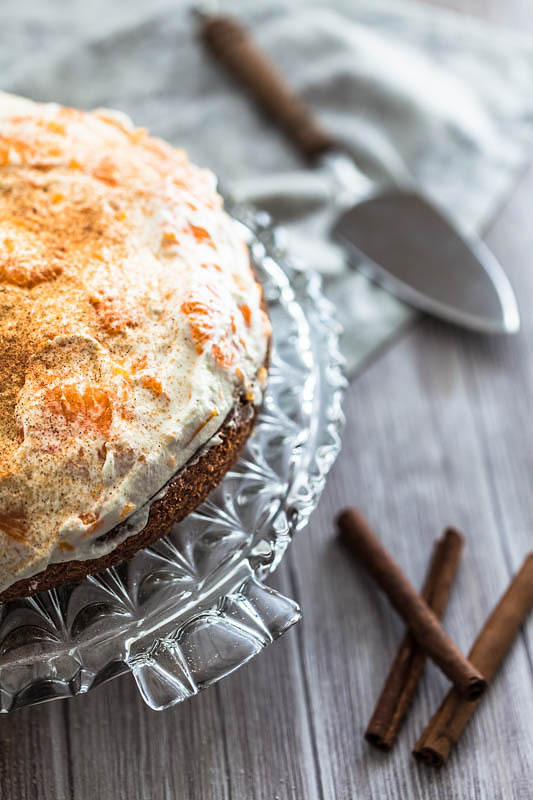 A cake with a layer of sugared mandarins, heavy sour cream and even more whipping cream. To cap it all off it get’s literally drowned in cinnamon and more sugar. Booh! Disclaimer: This is not a Clean-Eating “I only eat 2 pomelos a day” diet blog. 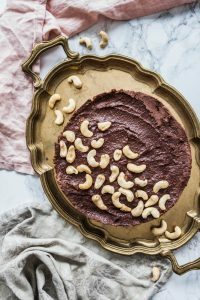 And for this reason, for more reality on Purple Avocado, I have written this unhealthy, non-veganised recipe which I grew up with (literally, considering it was my birthday cake). So – since you won’t put this cake on your daily diet, you should be fine peeps. It’s fairly easy to convert this recipe to different sizes. 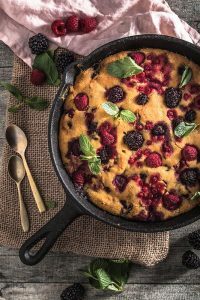 The original recipe is intended for a 26 cm (10 inch) round baking pan. My mom confirmed that you simply have to double the ingredients if you want to make a whole baking tin (which are as big as your oven). For all other sizes and shapes you’ll find plenty of helpful resources via Google. As this is a German recipe the Cup measurements are estimates. Add eggs, sugar and vanilla to a bowl and whisk it up. Add oil and fanta and continue whisking it until foamy. Mix flour and baking powder together and bit by bit mix it under the dough. Grease your baking tin with some margarine and add the dough to it evenly. Bake the cake base for about 25 minutes (test with a skewer) the baking time may vary depending on the size of your baking tin, so always make sure to check from time to time with the skewer. 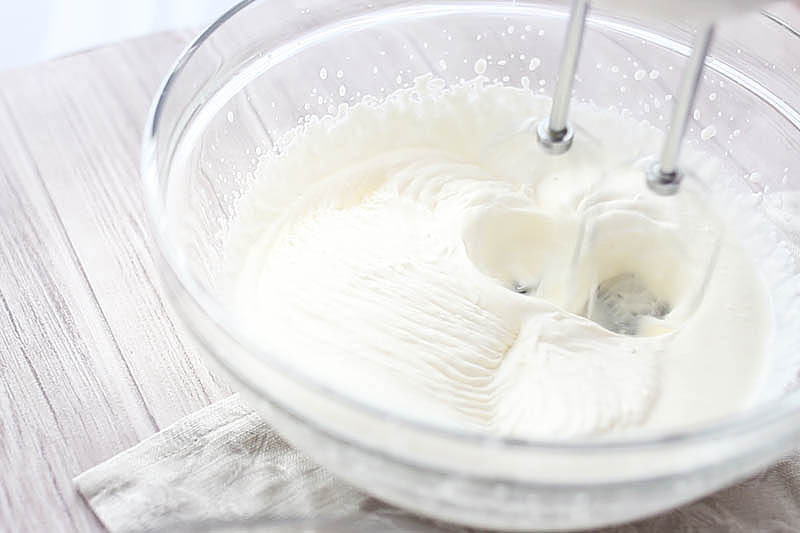 Whisk the whipping with vanilla sugar (and optionally cream stiffener) for about 5 minutes until stiff. Add the mandarins through a strainer and let them drain. Mix them together with the sour cream. 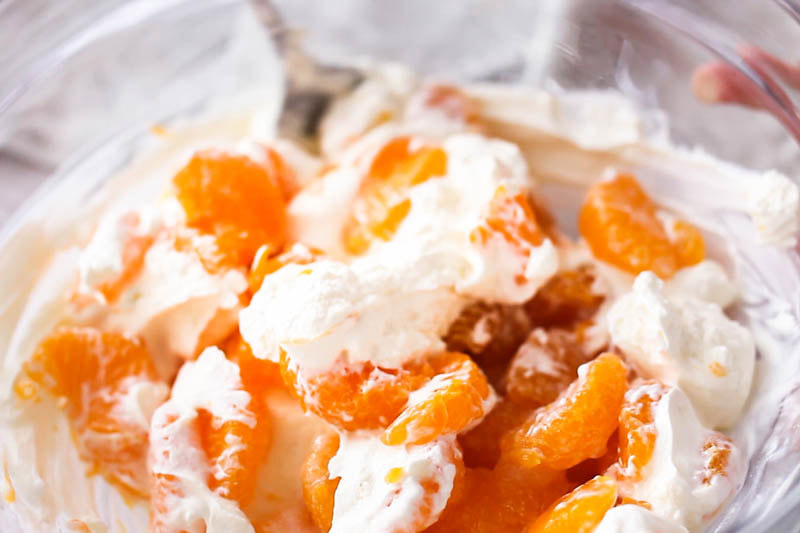 Add the whipped cream to the mix and gently fold it in. 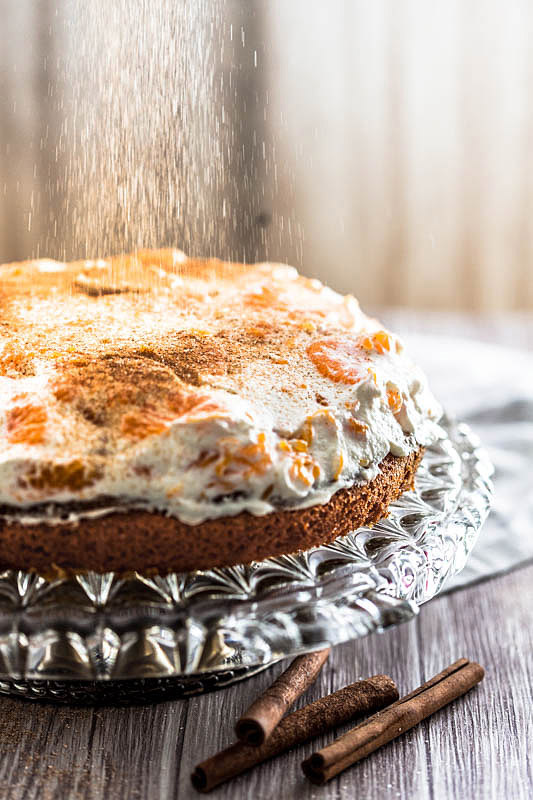 Spread the cream evenly on your (cold) cake base and sprinkle it with the cinnamon-sugar mix. 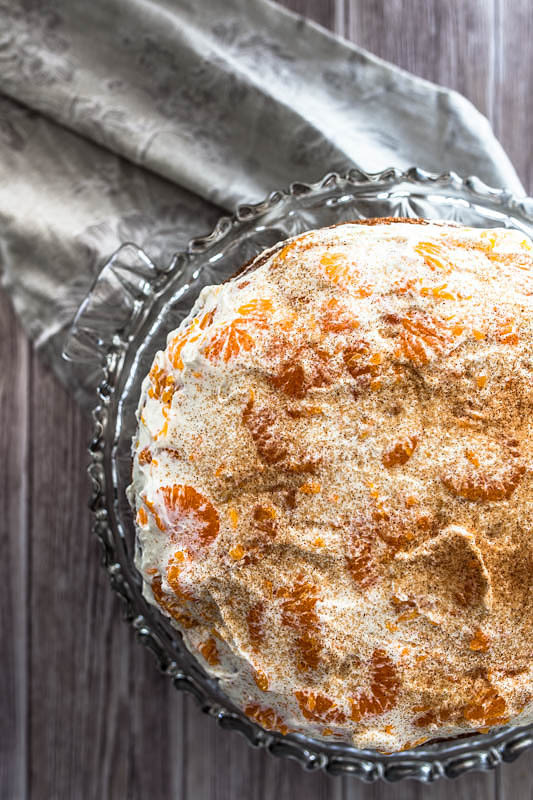 You can store this cake for 1-2 days in the fridge. I’ve never heard of a Fanta cake before, and I can’t begin to tell you how sad it makes me that the discovery took this long! This looks so beautiful and so delish!